-> To join this or other workshops, first purchase a Mapping LAB ticket here and then register (for either a full-day or two half-day workshops) here. 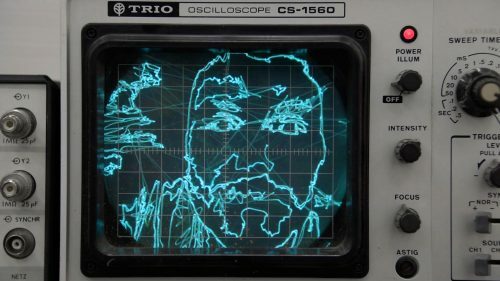 Drawing vector graphics with sound: after a creative coding warm-up in Processing, participants will learn their way around XYscope, a recently released Processing library that allows users to draw vector graphics on an analog oscilloscope – a lab device for displaying and analyzing the waveform of electronic signals. You will then learn how to program vector graphics and then how to convert their shape paths into sound. 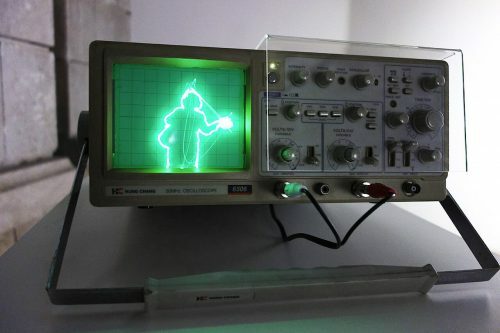 Fed into a 2-channel oscilloscope in XY-mode (there will be two devices for participants to play with) the audio signals will reveal your vector graphics in glowing glory. By experimenting with a variety of generative visuals and their corresponding sound oscillations, participants will understand the fundamentals of audio/video synthesis and explore the tight relationship between what we see and hear. Number of participants: 12 max. Requirements: a computer with Processing pre-installed / prior Processing or programming knowledge is helpful, but not essential (the workshop will include a Processing crash-course). About Ted Davis: Ted Davis is an American media artist and designer based in Basel, Switzerland, where he’s an interaction design lecturer within the Visual Communication Institute at the Academy of Art and Design FHNW. 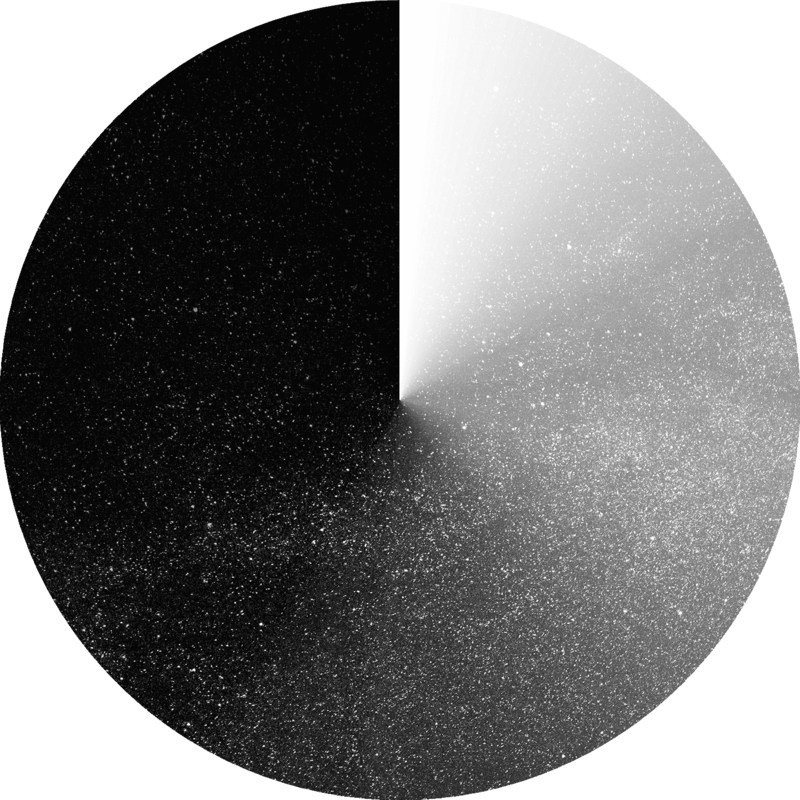 His own work and teachings focuses on image making via programming new and newer media, along with embracing error and glitch, while questioning the ideal and mimetic conditions digital media is asked to encompass.